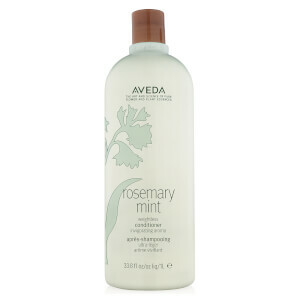 Envelop hair in a veil of nourishment with Aveda Rosemary Mint Weightless Conditioner, a shine-enhancing formula infused with uplifting scent. The silky treatment coats strands from root to tip to add strength and elasticity without weighing them down, helping to replenish lasting moisture and nutrients. Locks are left glossy, bouncy and full of health. 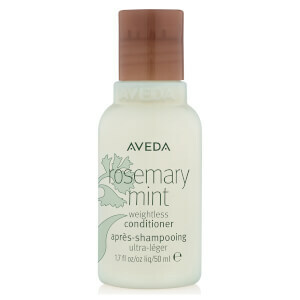 Use o condicionador depois do Shampoo Rosemary Mint. Aplique uma pequena quantidade no seu cabelo. Aplique até às pontas. Deixe atuar durante 2 a 3 minutos. Enxague abundantemente.